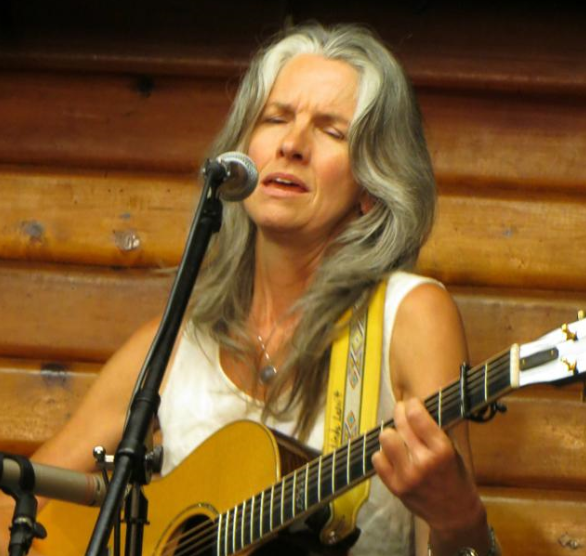 TaborGrass: Vocal Workshop with Linda Leavitt this Saturday, April 1st at Taborgrass! Vocal Workshop with Linda Leavitt this Saturday, April 1st at Taborgrass! Please join us this Saturday at 11:30am for Bluegrass Singing 101, with Linda Leavitt. Sing outside your car and make a joyful noise! Discover how authentic bluegrass singing differs from other types of singing. Learn how to warm-up, cool-down and protect your voice. We'll experiment with bluegrass harmonies, too. Bring an open mind and a voice recorder. All levels welcome! Linda Leavitt is the vocal instructor at Taborgrass. Linda performs with her band, Mountain Honey, locally and at festivals. Linda grew up singing gospel music in the southern baptist church. Her daddy really did sing bass! She is the editor of the quarterly Oregon Bluegrass Association newsletter and blesses hearts with the "Aunt Pearl" jam etiquette column. In addition to her work at Taborgrass, Linda teaches vocal workshops at festivals and camps, and teaches private students at her studio in Lake Oswego.